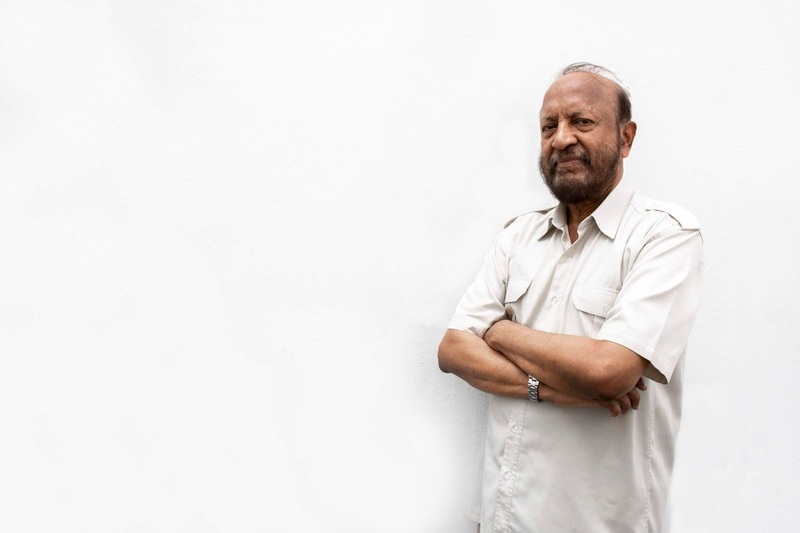 Award-winning author Dato’ Dr M SHANmughalingam—or Dato' Shan, as he is affably known—had his first solo collection of short stories launched by no less than HRH Sultan Nazrin Shah, the Sultan of Perak and Deputy King of Malaysia, just last October. His book cover carries HRH's endorsement and the book a Royal Foreword, for good reason: Shan is a national treasure of storytelling. 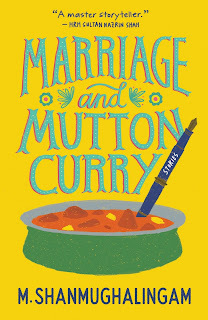 The vibrant volume, evocatively titled Marriage and Mutton Curry, hit number two on the MPH bestseller list in Malaysia. 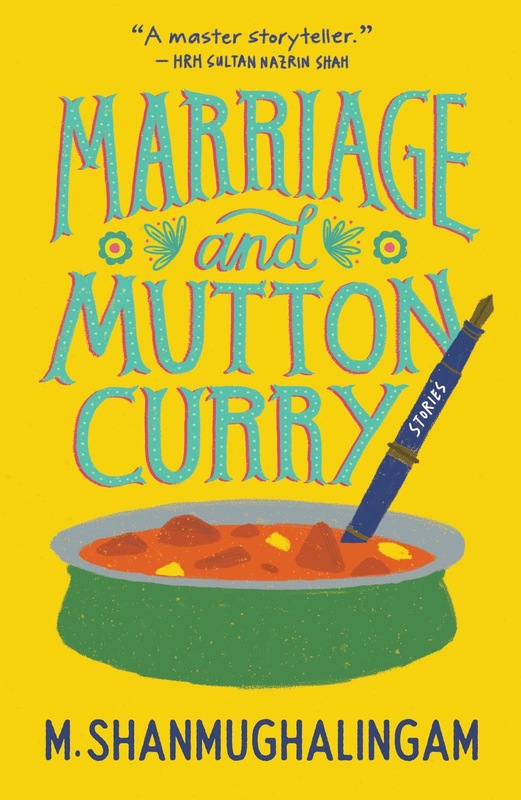 When I started reading Marriage and Mutton Curry, what struck me most was how warm it was, even as it delves into stories of the Jaffna Tamil community with incisive truth. Always honest, but always just as kind, Shan deftly navigates topics as broad as the Japanese occupation, red tape and diplomacy, colonial legacies and cultural intricacies of his Malay(si)a. He weaves references to Dickens’s Oliver Twist and Coleridge’s Ancient Mariner into the context of Malayan schoolboys and bureaucrats with equal parts unflinching irony, pointed humour, and joy. To quote Gillian Dooley’s review in Asiatic (Vol. 2, Dec 2018): “There is no sentimentality here at all: compassion, yes, but clear-eyed candour”. That this is Shan's solo debut belies the fact of his tremendously accomplished writing history, including publications in over 37 national and international anthologies, winning the British Council Short Story Prize, 2nd Prize in the Oxford Short Story Competition judged by Iris Murdoch and John Bayley, and being named editor’s choice for the Fish International Short Story Prize collection in Ireland. His poetry has appeared in New Voices of the Commonwealth: an Anthology of Poetry alongside Nobel Prize winners Derek Walcott, Wole Soyinka and Seamus Heaney. Shan was recently in Singapore where he spoke at the National Institute of Education (NIE) as part of the Writers @ NIE series. He took some time from his packed schedule to share some of his thoughts on writing with honesty, compassion, and humour. Hi Dr Shan, thank you for the interview! One question I like to start with is: what do you like best about your own writing? And what are some favourite scenes, or lines, or bits of dialogue that you’ve written? Among the few things I like about my writing are the humour, satire, the history and the dialogue. There is much injustice, hypocrisy, misery, negativity, narrow-mindedness, pessimism and pomposity in the world. I hope that my humour and satire can make a small dent in the above problems. As for history, unlike the developed world, in the developing countries we do not keep many written records. You can for instance, go to the Rhodes House Library in Oxford University and ask for the Drainage and Irrigation Department Report of Kedah, Malaysia for a particular year and get it within a few minutes. They say that in Africa when a tribal leader dies a whole library is burned down. We need many more stories of our history written by our people. It is easier to know where you want to go if you know where you came from. I loved this quote from a Prestige interview that you did in 2003: “Non-fiction writing restricts you. You can’t tell the truth. People want to be featured as saints. Writing fiction liberates you. You can achieve a greater truth with fiction.” I wonder if you can share one truth you feel you’ve been able to accomplish in your fiction, that you couldn’t have in non-fiction? Thank you. There are many examples of truths that I have tried to achieve via fiction. Let me quote from Lawrence Pettener’s review of Marriage and Mutton Curry (Sunday STAR October 7, 2018), where he wrote of the book: “Like Irish lives stalled by stasis in James Joyce’s Dubliners, the thwarting of Asian ones (Rasamah’s elusive dream of teaching) is painful to read”. In the same review, he also remarks on how the collection speaks to themes such as “The Jaffna Tamil community and its preoccupation with status (plus food and matrimony)”, “colonial Westerners’ misunderstandings of Malaysian life”, and the “repressed feeling faculties of those who simply have to get on with everyday life under authoritarian regimes-Stockholm Syndrome, perhaps”. You’ve shared that Tash Aw advised you to rewrite your old stories while you were compiling Marriage and Mutton Curry. Tell me a little about that process? It has been said that writing is re-writing. Ernest Hemingway rewrote the ending to A Farewell to Arms 39 times—although they say the actual figure was even higher at 47. After his verses had been reprinted several times, W.B. Yeats revised the lines again. That is why many writers admire their unfailing pursuit of excellence. I re-wrote so much that it may be easier to tell you the parts that I did not re-write! These are 15 short stories, but the story about re-writing them is a long one. I got excellent feedback from Felicity Jones, Kenneth Wee, Elaine Chiew, Jason Lundberg and Catherine Lim in Singapore, Tony Crocker in the U.K., Shirene and Rohan Shan, Akaash and Sharon Bakar in K.L., Shirley Lim from the U.S., Ron Klein and Hiroshi Matsuura from Japan and Hugh Peyman from China which helped me greatly with my editing. Tan Twan Eng advised me to listen to my editors. The six new stories you wrote for this book are, you’ve said, longer and darker. Could you tell us more about what compelled you to explore the darker side of human nature? Singaporean writer Suchen Christine Lim, an ex-Malaysian, challenged me to go beyond my comfort zone and write darker stories. I took it seriously and found that the darker stories and my new ones were longer as I dug deeper into the dark side. The contrast between dark and light, humour and tragedy serve to highlight each other. We appreciate the light better after we have endured darkness. Have you been surprised by the warm reception to Marriage and Mutton Curry? To say that I have been surprised by the warm reception to Marriage and Mutton Curry is putting it mildly. I am still stunned by the enthusiastic reception in Malaysia. HRH Sultan Nazrin’s Royal Foreword and his launch of the book on October 4 in Kuala Lumpur helped greatly to put the book on the public radar screen. The reception in Malaysia has been the warmest. This is understandable as I am less unknown here as a writer than in Singapore. Since I am little known in Singapore and short stories are generally less popular with publishers than novels, I appreciate Edmund Wee deciding to take the big risk in publishing me! You’re a poet as well as a fiction writer—in fact, if I’m not mistaken, your first published works were poetry and fiction came a few years later. I’d love to hear your thoughts on poetry, now that we’ve been talking about your fiction for a while. Yes, you are right in saying that my poems were published before my short stories. I have written poems both in English and in Malay, whereas my short stories have been in English. Mark Twain is among many who were reported to have written that they had no time to write a short letter, so they wrote a long one. Others include Cicero, Pascal, John Locke, Benjamin Franklin, Thoreau and Woodrow Wilson. I have always admired brevity of expression, even among poems which are already brief. I admire the haiku which is super brief. Finally, what’s next for you, if you can share? I believe one should talk about what one has already done rather than what one is going to do next! But since you ask, I have two projects in mind: mainly a draft memoir and a collection of poems. With thanks to Christopher Toh from Epigram Books for his assistance in this interview.